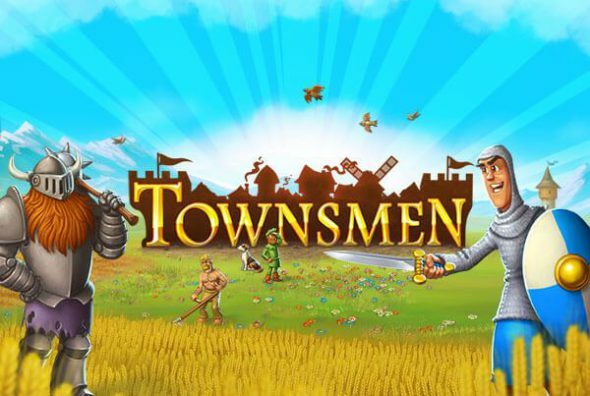 After numerous building games on mobile and PC, Townsmen makes its debut on Nintendo Switch and it won’t be one that will be soon forgotten. HandyGames managed to put the original building game into a much more in-depth experience. More quests, more modes and even more fun. Grepolis, Frostpunk and many more of its variants have proven to be successful by a broad audience, but will it be enough to break through on the Nintendo Switch and make a name for itself? Wrongfully accused by your fellow royalty, you get exiled to a decayed kingdom which is in dire need of your help. You and your loyal assistant arrive at the scene and stare in horror at what was once a beautiful town. With no time to waste, a lovely grandma who is living in the village approaches you both and asks for help with the most urgent matters. You as the new lord of the kingdom tries to do as much as possible to get the town a little more in good shape, but after a few days your accusation catches up with you when someone of the court starts blackmailing you. This will cost you a great deal of money and must be stopped very soon or you and your new kingdom will become bankrupt in no time. Will you be able to make this awful person leave or will you be stuck, paying your whole life to cover up a sin you did not commit? The flow of the storyline is pretty steady, you get the idea at the beginning of the tutorial and with each part or day you play you progress in the story. Overall it is nice that a building simulator managed to weave through a background story. In terms of graphics, they bring nothing new to the genre but still keep in mind that it needs to be detailed enough to make the cut. The style of both the background and the characters made us think about a painting. The latter makes it definitely not realistic at all, but it doesn’t bother and stays true to the immemorial charm of this genre. Take a closer look and enjoy every detailed part of this art style while playing, because it is beautifully drawn. 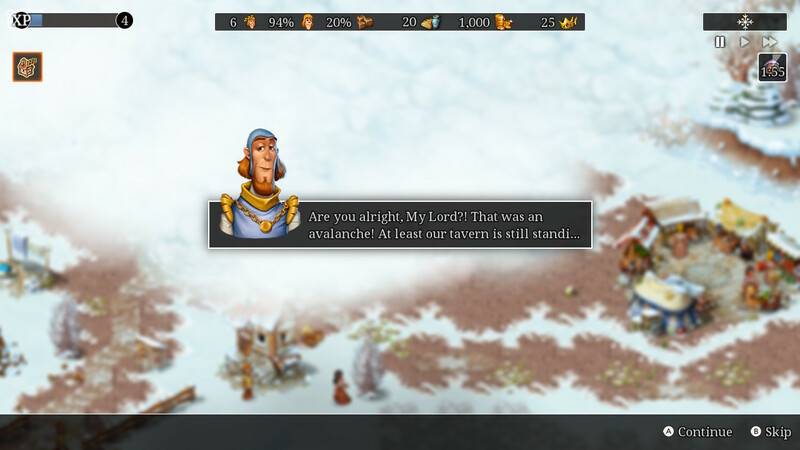 While we would like to see some games in this genre with some more voice acting, Townsmen did confuse us with their imaginary language which was voice-acting on top of the English subtitles. This might be fun but breaks the immersion in many ways, because you will even find Chinese easier to understand. This doesn’t happen all the time, in the case that it doesn’t happen they just stay silent. The background music is present the whole time and has some vibrant and enchanting vibe to it. This only changes when more serious parts of the game start, which will cause the music to change in something more dramatic. 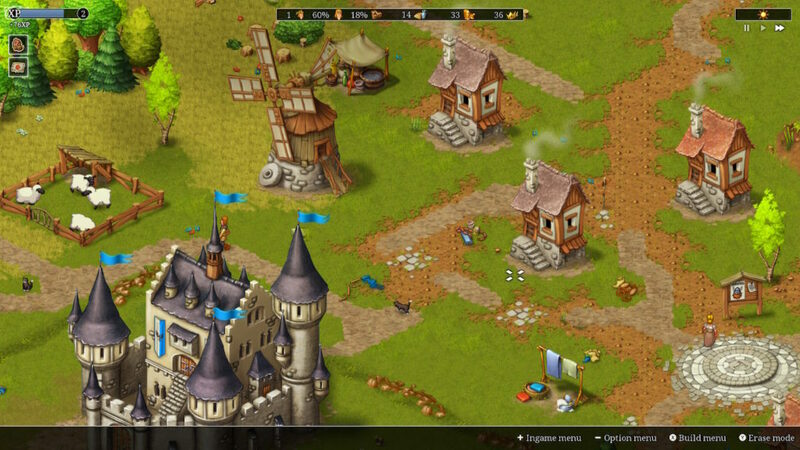 Townsmen is a medieval city-building simulator and a fairly decent one at that. They do not only manage to let us feel like we are in the Middle Ages throughout the music but also they didn’t forget the little details like using a well for water, a fire tower for the firefighters and royal guardsmen as police officers. All of this makes the game a tad more realistic profession wise at least. Like every other town building simulation game, the goal is to build a town, with a thriving economy and a happy population. With you as the new ruler of this kingdom and the troubles that haunt you, even if you were wrongly accused, it won’t be that easy to spare a lot of money. When you start out, the whole kingdom is in decay. The previous Lumberjack left because of the disastrous state of his workplace. The only food supply they rely on is fish and we all know that not everyone enjoys fish. And even better, the population is falling below zero if this keeps on going the way it is right now. Luckily, you have a lovely Grandma and an assistant at your side who will guide you throughout the tutorial levels. You need to build the buildings they ask for and watch your population grow. Also, you need to have a chain of workplaces if you progress further. For example, bread will have already been through a few steps before it arrives at the baker. 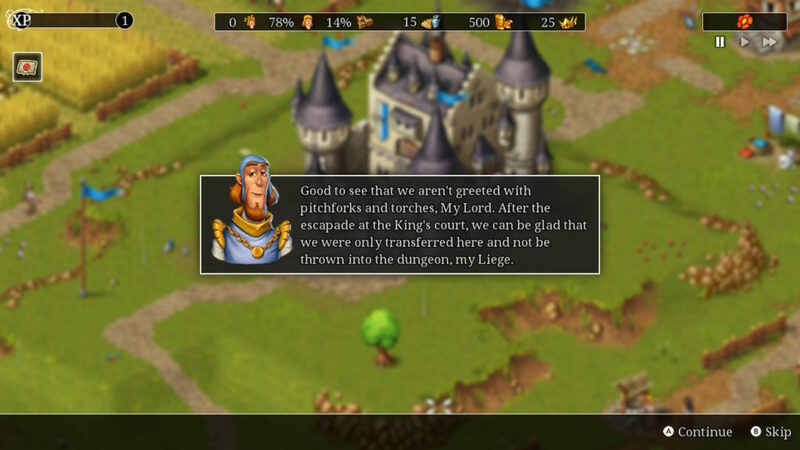 This is one of the most successful features of Townsmen as everything is linked and is important as something else. Because we all know if we take away a shackle from the chain, it just falls apart. The game allows you to pick between three sorts of manners that you can play the game. The first way is to play the tutorials, those are actually a lot of work and let you become handy with the controls in a fun way. After that you also have the scenario levels, those have a specific goal for you to reach. So you won’t succeed the scenario until then. At last, we have the sandbox levels where it is your own choice what you make and how you run your town. After some doubts and a few hours of play time, we started to get why this was released on the Nintendo Switch. 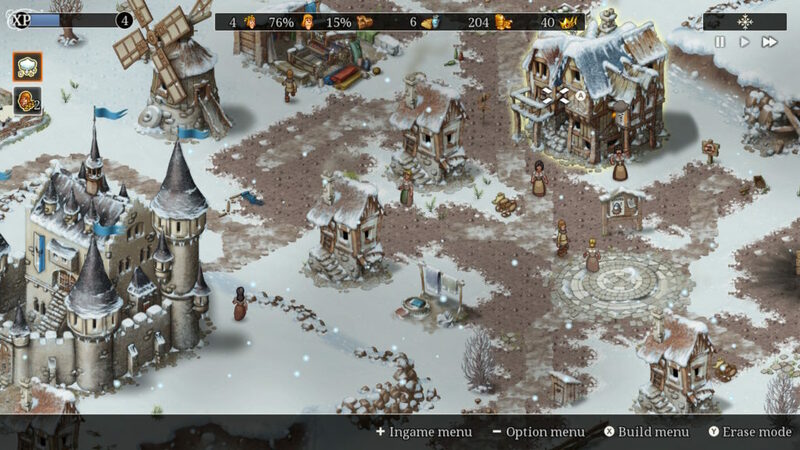 Townsmen is not only beautiful to look at or relaxing to listen to, it is also very fun to build an entire town from the ground up, with only bare minimum available. While games such as this can be quite stressful with everything that can go wrong, this one’s slow pace makes things a tad more manageable. The Switch currently lacks games in this genre, so it might be interesting to check this one out.